Joining us today is Ross Rasmussen from HMAUS to tell us about their upcoming Fall Fest 2014. Then we’ve invited Liberty Peralta and Shisa Kahaunaele from PBS Hawaii to talk about Hiki No, now in it’s 6th year. First we’ll look at the latest tech news and happenings in Hawaii and beyond. Then we’ll have James Hardway from the Workforce Development Council to tell us about the Software Skills Panel Forum. 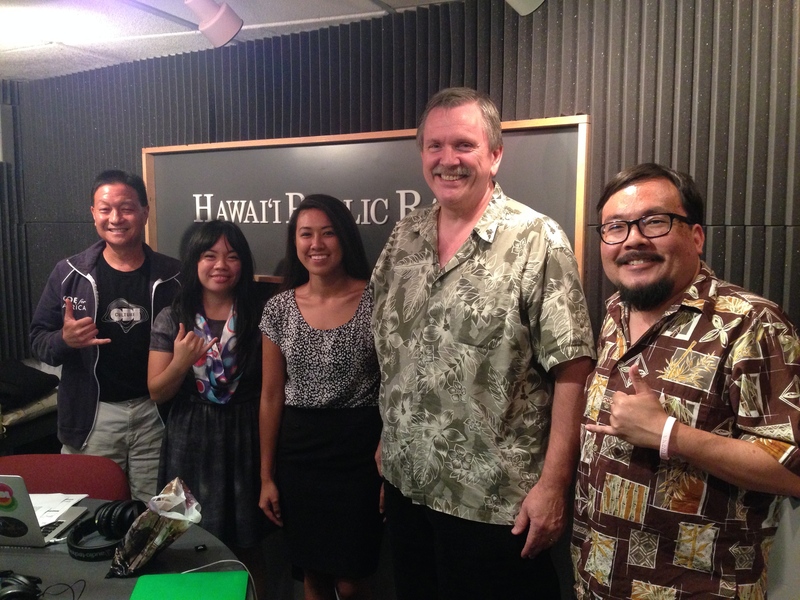 Finally, we’ll talk with Leslie Wilcox from PBS Hawaii and Lynne Sueoka from Moanalua High School about the Student News Network Hiki No.